Found 11 file extension associations related to EndNote and 9 file formats developed specifically for use with EndNote. 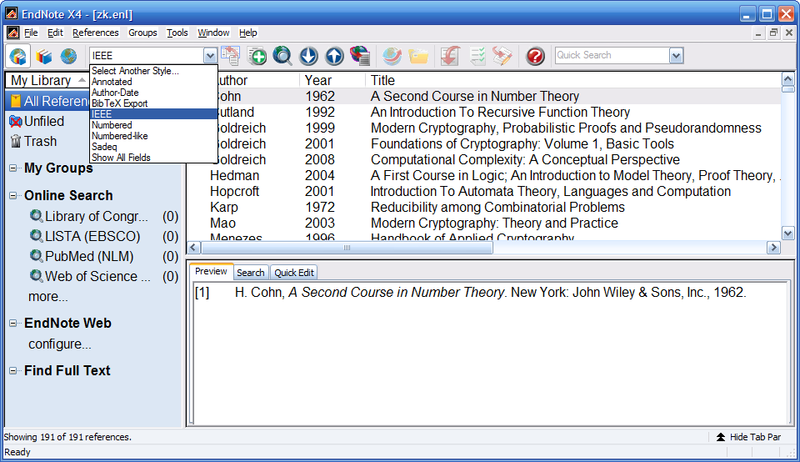 EndNote is used to search online bibliographic databases, organize their references, images and PDFs in any language, and create bibliographies and figure lists instantly. Instead of spending hours typing bibliographies, or using index cards to organize their references, they do it the easy way—by using EndNote! EndNote Web is included with EndNote so you can collaborate with others easily. EndNote for Windows and Macintosh is a valuable all-in-one tool that integrates the following tasks into one program. If you need more information please contact the developers of EndNote (Thomson Reuters), or check out their product website.